UsRT - Graphical interface for Android Usagestats and Recent Tasks XML parsers. Thanks to the hard work of Chris Weber (@RD4N6) we now have a way to parse the essential data contained in the Android Usage Stats and Recent Tasks XML files through a graphical interface. Like Eric Zimmerman says it is agent proof. Chris took my scripts, based on the research done by Jessica Hyde (@B1N2H3X), and made them accessible to all. Point and click goodness. The application can be run as an executable (UsRT.exe) via the provided installer or through the python scripts directly. The installer has all dependencies included and is the easiest and fastest way to use the parser. For details on the original research that motivated these scripts and the interface see Jessica Hyde's research at the SANS DFIR Summit 2018. For details on the parsing scripts see my previous blog posts for Usage Stats and Recent Tasks. Script and installer links at the end of the blog post. Rows and columns format with the ability to hide columns and select all rows, check rows or unchecked rows. Ability to open already processed cases through the application generated case json file. Included Read Me file that has a quick overview on usage with related screenshots. The Read Me can be accessed via the Help menu options. Same features as Usage Stats with the addition of the recent images and snapshot fields. Pressing on the images will show them in your system's default image viewer. HTML reporting include images as well. The installer is in the same repository in the release tab. As said at the beginning of the post I am indebted to Jessica Hyde for doing the original research and to Chris Weber for putting all work an effort to maximize the use of the parsing scripts by making an awesome graphical interface for them. Python 3 script that export compound bplists from a specific field on a iOS knowledgeC database, extracts the internal bplist and creates a triage html report of its contents. Two versions are provided, for iOS 11 and iOS 12, due to a slight difference on how the internal bplist is referenced within the external that holds it. It's recommended that you load these plists into your viewer of choice to examine them directly. Export the bplists intact from the SQLite DB. Access the clean bplist and create a file that could be used in forensic tools for analysis. Generate a triage report of clean bplist data contents to easily evaluate relevance before importing to forensic tools. There are many tools that let us view the contents of bplists but when these are nested in such a way getting to the internal content requires some manual work. Like any and all examiners the world over manual work is just the universe telling you there is a need to automate and scale. The database selected for our testing was the iOS knowledgeC database. I highly recommed everyone reads Sarah Edwards' article on it, THE article on it. By looking at the Z_DKINTENTMETADATAKEY__SERIALIZEDINTERACTION field within the ZSTRUCTUREDMETADATA table can see how these bplists look when nested. Notice how there are two bplist headers in the same SQLite database content. D/C = Dirty or clean There is nothing wrong or dirty about the shell bplist. It is a shorthand in opposite to the internal bplist which I called clean after extraction due to a lack of its bplist shell. Z_PK = The field name in the table that contained the primary key for the row that contained the exported bplist. Numeric value = Integer contained in the Z_PK field for the row that contained the exported bplist. By establishing this filename convention the examiner can easily backtrack to the proper row from the target table if additional fields are of interest or if there is a question on the validity of the exported bplist. In iOS 11 one has only to deserialize the bplist at the root which gives you the clean bplist. In iOS 12 one has to desiralize the bplist at the NS.data level since the clean bplist is contained within it. would give you the clean bplist after accessing the NS.data portion. It would be good to have further confirmation that these type of incepted bplist truly vary per iOS version and that is not only a crazy coincidence of the the data sets we had available. Originally the purpose of this exercise was to find a way to easily extract the clean bplists in order to import them into forensic tools with minimum effort and no manual extraction. It became clear that a triage report was needed when one of my data sets contained 1565 extracted bplists. Be aware that the script developed will keep both the dirty and clean bplists in separate folders within a timestamped directory. In this way one can backtrack the whole process for validation purposes. Filename = Same format as stated before. Intent Class = This is a value taken from a field in the table where the dirty bplists where stored in the knowledgeC database. This value is key cause it gives you a clue of the purpose of the contents of the bplist. Intent Verb = Another value taken from one of the table fields. Further description of bplist purpose and/or type of content. NSdata = Binary data store of activity. Since the report is a triage report the NSdata values are just a string representation of the binary values in it. Although it contains many non human readable characters it is pretty easy to key in on those ASCII values that one can easily read. The report is a testament to my ignorance on how to convert these values to something more pleasing to the eyes, but for triage purposes that help the examiner decide what to process with a forensic tool further it is perfect. Some of the values can cleaned up a little with UTF-8 decoding but many, especially those that contain a lot of data, are not. The next picture is an example of the report format. The particular data in the report was shared with the condition that it would not be share hence the redaction of it. It is up to the reader to test it out and discover for herself what awesome data resides in these structures. Things that are, things that were in one form and changed to another, and things that are no more. I was surprised by the amount of data contained in just one field from one table in one database. I can only imagine what relevant data resides in incepted SQLite held bplists in other tables and other databases. The next step is to evolve the script so it can extract any bplist blob from any SQLite table and generate dirty and clean instances as needed with complementing reports for triage. A key part is to better better understand how the NSdata fields work to see if anyone in the community knows how to parse them. If only the days had more hours and our bodies less need for sleep. This post is a continuation of my last blog post where I introduced a simple parser for the Android usagestats XML files. Task ID number = Used to correlate snapshot and recent image files. Effective UID = App identifier. First active time = Timestamp in millisecond epoch time. Last active time= Timestamp in millisecond epoch time. Last time moved = Timestamp in millisecond epoch time. Affinity = Bundle ID name. Calling package = Bundle ID or process that called the referenced recent task. Real activity = Gives information on app usage at time of recording and snapshot creation. The script has been tested and found to be accurate on my own data sets. Not all recent tasks will contain all data events or related images. Additional testing and validation of the script is humbly requested and more than welcomed. 1. Extract from your Android source device the three directories mentioned previously. Extraction should be logical and not contained forensic tool generated recovered items like deleted and/or file slack files. 2. Place the script and the noimage.jpg files from the repository in the same root directory as the extracted directories. Have this before running script. 3. Run the script with no arguments. 4. When completed the script will generate two files, a SQLite database named RecentAct.db and a report file named Recent_Activity.html. What you should see after a successful run of the script. Note that the RecentAct.db SQLite file will contain two fields populated with all the XML attributes in JSON format. The analyst can run a query using JSON_extract to custom generate queries with any of the attributes within the XML. 5. Open the Recent_Activity.html report. For every recent task there will be a table with pertinent information as well as the snapshot and recent image files that correspond to it. To view the images full size just click on them. Be aware of the importance of the creation times of these image files within the source media. For details see the presentation previously mentioned. It is of note that not all recent tasks, in some of my test data samples, had corresponding images or full sets of attributes. When a recent task lacks corresponding images the script will reference the noimg.jp file. Missing image and missing attributes. For missing attributes the report will state 'NO DATA' and/or 'NO IMAGE' in the Key and Values columns as needed. Be aware that the SQLite database has all attributes in JSON format for custom query generation. I want to thank again Jessica Hyde for her research and for making the community aware of these artifacts. Hopefully this script can make it easier to give much needed context to these images and apps whose value might not be found anywhere else on the source device. As I've been testing and using Sarah Edwards' excellent APOLLO pattern of life framework for iOS I reminded myself of the great work done by Jessica Hyde on a similar set of files for Android called usagestats. These files provide insight on what apps where being used, if they were in the foreground or background, and how long have the apps been active among many other forensically interesting data points. I highly recommend the reader check out her Every Step you Take DFIR Summit video and presentation slides on PDF format. The rest of the blog post will make more sense after the viewing and/or reading of her work. The script has been tested and found to be accurate on my own data sets. Additional testing and validation of the script is humbly requested and more than welcomed. Place the script at the in the same root directory as the just extracted usagestats directory. Side by side as such. Run the script with no arguments from the root directory that contains both the script and the usagestats directory. The script will parse all the internal directories and files for you. The script will also alert you of files whose content is not XML that can be parsed. 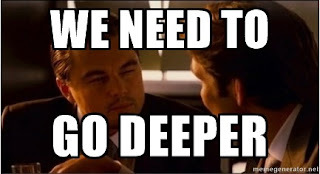 After the script ends a sqlite database named usagestats.db is generated. Use your favorite SQLite application to view the parsed data. Notice the timestamps are in epoch time. Each XML file contains a description of what type of data is recording. The values can be event-log, configuration, and packages. Records when an app (package) was last active or when a configuration took place. 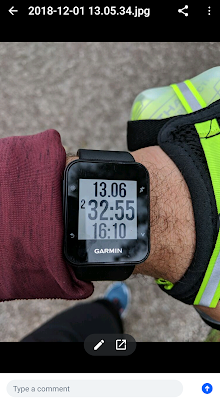 The XMLs themselves keep track of these time in two ways. Most usage events maintain a count of how many milliseconds have passed since the creation of the XML file and the occurrence of the event. To calculate the timestamp of the event the script takes the XML filename, which is the epoch time of the file itself in milliseconds, and adds to it the milliseconds the event took to occur. This provides the event time as en epoch timestamp. For events that are not millisecond offsets from the epoch time filename of the XML file, they keep the time as en epoch timestamp preceded by a minus sign. The script eliminates the minus sign to keep the epoch timestamp. My testing has shown this way of calculating times to be accurate to activity I have taken on the device. The following image was included in an app review I did in November for the TikTok Android application. Notice the time some of the chat activity took place. As seen in the image above the TikTok app is sending and receiving chat messages. The parsed XML SQLite database shows the same activity at the same time being totally consistent with TikTok chatting. Shortly I will provide a SQL query that will format the dates and type values in the same human readable format seen above. Certain events keep track of their length in milliseconds. Application name and corresponding modules in use. Usagestat originating XML category. They are daily, weekly, monthly, and yearly. The following query can be run against the script generated database to format the timestamps from UTC to local time, add a field for time_active in seconds, and changes the types integer values to readable activity descriptions. Be aware that I have not added all case types per the link provided previously in the Types section. Add as needed. My hope with this script is to make accessible the data contained in the usagestats xml files for digital forensic case work. Additional testing of the script and suggestions on how to optimize it are welcomed. I hope to create additional scripts that will parse the Android battery status and recent tasks XML files as show by Jessica Hyde in her presentation. In the last two blog posts I wrote about ways of obtaining a list of currently installed apps and their corresponding app directories from an iOS file system extraction. My usual method is to query the contents of the applicationState.db file to find the app bundle id and what directory GUID like name corresponds to it. By finding the proper directory one can focus on the data stores it contains for parsing of user generated data when our forensic tools are not aware of them. On my second post I received great feed back from Sarah Edwards. 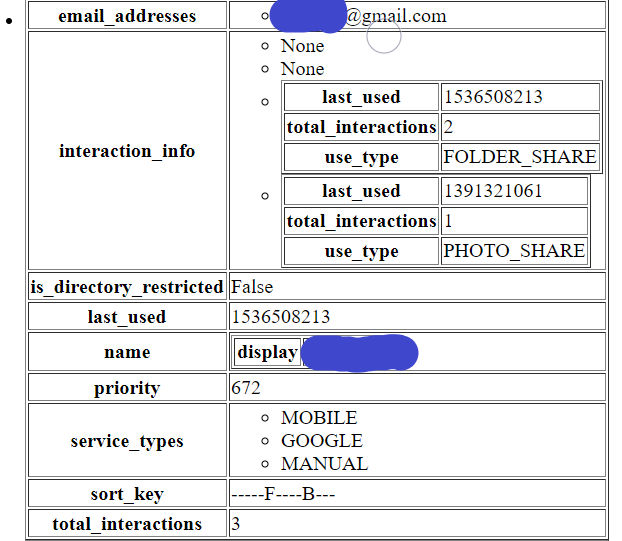 She pointed me to the contents of the mobile installation logs in iOS. I immediately wondered if there was a script that could parse those logs for the data I was looking for. After asking Sarah Edwards and looking online I didn't find any. The link below is for a python script I made that parses the mobile installation logs. App install successful with date and time. 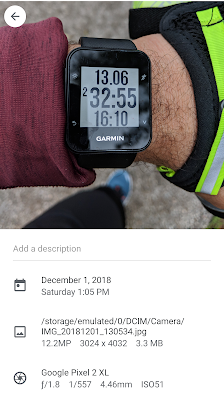 App container made live with date, time, and path. App container moved with date, time, and path..
App destroying container with date, time, and path. 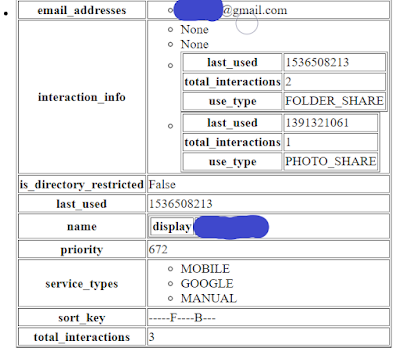 Here is a sample screen of how the logs look as taken from the device. The image has been zoomed out which could make it harder to read unless the preview image is clicked. The script is really simple to use. Have Python 3.6.4 or newer installed. Extract the logs from the /private/var/installd/Library/Logs/MobileInstallation/ directory. Place the script in the same directory as the extracted logs. Execute the script via CMD. The script will produce one SQLite database called mib.db, a directory named Apps_State, and a directory named Apps_Historical. The SQLite database holds the extracted information from the lines of log data. The script queries the database to produce the contents within the two directories. Having this list handy is really useful since it can be used to compare the currently installed apps within the file system image that might have been missed by our third party forensic tool of choice. If one would like more context in regards to when the app was installed and where the app directory is located the Apps_Historical directory has all that information per app. A txt file for every app. Here is a sample of the historical information regarding an installed app. Notice the report has a timestamp for every event. The scrip puts the most recent events at the top so the current path for the application directory can be at or near the top. Here is a sample of historical information regarding an uninstalled app. Like the previous report there is a timestamp for every entry and events start with the most recent at the top. These report are useful if one wants to determine when an app was uninstalled or if a current app was uninstalled and then reinstalled multiple times. Notice the multiple 'Destroying', 'Made', and 'Install Successful' entries in the report. Again the most recent ones are at the top. As seen above the script's output is responsive to the original requests of installed apps with corresponding app directory paths. It goes further by identifying uninstalled apps and by providing timestamps and historical app event aggregation. Report on 'detected reboot' and other log entries that indicate system state as opposed to particular app states. Add 'updated bundle entries' for 'container made live' context in the historical reports. Add 'attempting delta patch update' and app version information in the historical reports. Add 'uninstall requested' and 'uninstalling identifier' in the historical reports. I can't thank enough my colleague @i_am_the_gia for testing out the script on her data sets and Sarah Edwards for making me aware of the logs. If anyone gives the logs a look and finds further items to report on or wants to give other feedback I can, as always, be reached on twitter @alexisbrignoni and email 4n6[at]abrignoni[dot]com.